I started out as a part-time photographer while I was finishing college in 2003. 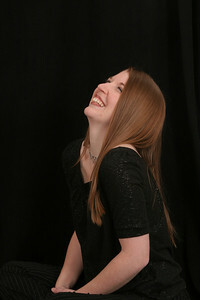 After completing my bachelor's degree in elementary education, I chose to stay on with the portrait studio as a manager. In my 7 years with that company, I was a part-time associate, manager in training, I managed three different studios, and I spent about a year as a recruiter and trainer, opening new studios across the US! While I did go back down to part-time photographer in 2005 to pursue teaching again, I just loved children's photography too much to stay away! I spent one school-year teaching, then came back as a full-time manager! After that company went out of business in January 2010, I chose to start my own business. After a year with a part-time job in addition to my own business, I went full-time with Kelly E Lambert Photography & haven't looked back! My husband and I make our home in Commercial Point, Ohio, just south of Grove City, but I travel throughout Columbus and it's suburbs. We just had our first child, Rowyn Elizabeth, March 8th, 2013. She is absolutely amazing! She comes along in the stroller on some park sessions, and loves to make it harder for Mommy to get editing done! :) We had our second child, Kiernan James, June 5th, 2015. He is an even better baby than his sister was, and we all adore him! For more information on scheduling a session, click on the white Kelly E Lambert Photography above!! !